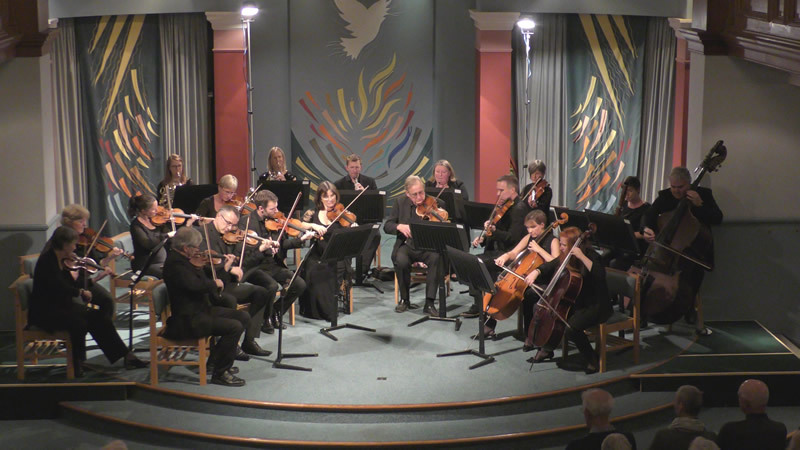 The Northern Chamber Orchestra set Penrith Music Club’s 75th season off to a flying start on Monday night with a concert that typically encompassed the wild, lyrical and humorous. Led by the dryly deprecating Nicholas Ward, they engaged the audience with their own enjoyment of the music. Malcom Arnold’s Sinfonietta is a short work which largely reflects his style at the height of his fame a composer of film scores, the first movement, for instance reminiscent of ‘Whistle Down the Wind’, while the last revivified Flash Harry and the antics of St. Trinians (1950s versions both). The middle movement, as Nicholas Ward forewarned us, was something of a homage to Shostakovich. 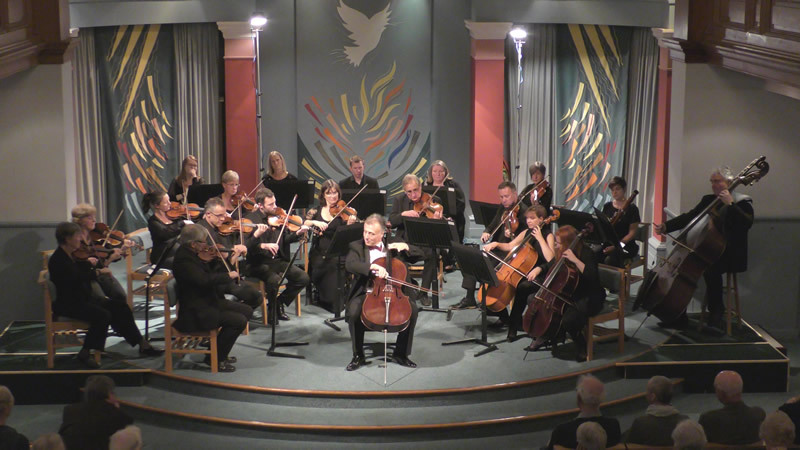 All of which is not to take away from Arnold’s quite distinctive style and craft.We were then, perhaps unnecessarily encouraged to love Haydn – a cello concerto and a symphony to come – and both orchestra and soloist were compelling throughout this seriously virtuosic piece. We were all in awe at the way in which Raphael Wallfisch made the cello sing throughout its range in this demanding piece, sonorous, imposing and controlled. It was magical also to see the orchestra follow his lead as he occasionally made the musical line ebb and flow. Nicholas Ward was slightly dismissive of Parry’s Lady Radnor’s Suite, but the orchestra’s performance convinced us of its charm. Truly, if you search on U-Tube you will see and hear some turgid performances. All the more reason to come to a live performance – of anything – to judge it properly. Well-paced and expressively presented, this collection of up-dated baroque forms was delightful. Parry’s good sense meant that no movement out-stayed its welcome (such a contrast to his earnest Brahmsian symphonies) and the penultimate slow movement was simply beautiful. 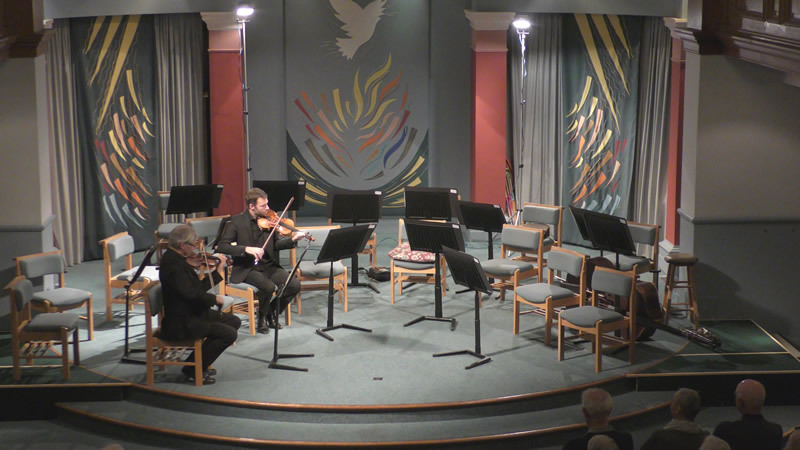 To finish, Parry presents us with a lively baroque gigue transported to an Irish ceilidh. The orchestra were visibly delighted. How did Haydn manage to write so much clever, tuneful and surprising – not to say humorous - music? The 45th Symphony needs huge energy and control, which the orchestra accomplished with apparent ease, the first movement like some wild storm, the second with its relentless, quirky ‘catch’ in the melody. The minuet has a strange minor chord ‘raspberry’ appropriately reinforced by the wind section and finishes half-way through the musical phrase. And finally, following another wild dash, all the players leave in the last movement. 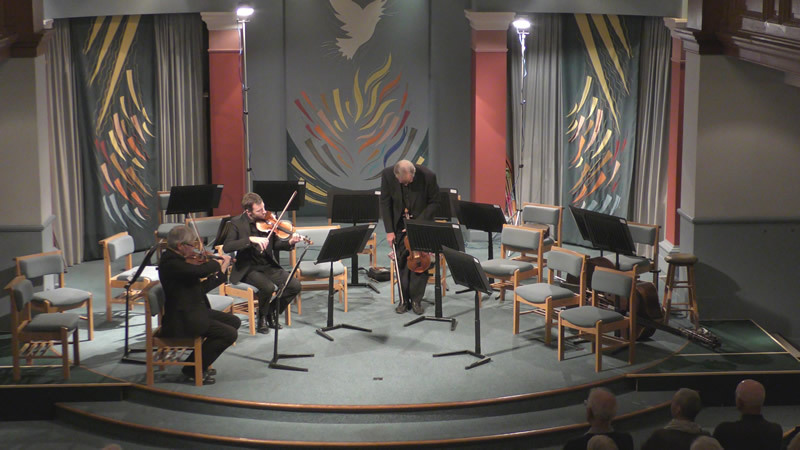 Each orchestra member graciously absented themselves, the two remaining violinists left forlornly to complete the movement; so much drama and fun. Originally this had serious point, of course – Haydn showing his boss, the prince, that the orchestra had had enough and wanted to go home. We, however, were reluctant to leave it there and were treated to another feast of demented revelry in the last movement of Haydn’s Trauer symphony (No.44). This was an evening of pure delight, and something you will only experience by coming to such real live concerts, presented by such accomplished musicians.